French Riviera yacht rental or Amalfi Coast yacht charter – where to go for your next summer yachting holiday? Planning to book a summer yacht vacation but torn between a south of France yacht rental or chartering a yacht on the Amalfi Coast? The match is balanced. Of course, the answer is both destinations are beautiful and ideally explored on a yacht charter. The two cruising areas have their own characteristics in terms of scenery, culture, people and food; each answering to a different mood. Here’s a few lines about these Mediterranean yachting destinations to help you make up your mind between a yacht rental in the south of France or an Amalfi Coast yacht charter. The south of France is home to some gorgeous towns such as Cannes, StTropez, Antibes, Villefranche-sur-mer or Monaco - all of these towns are directly accessible from the sea. Whether it’s shopping in Cannes, exploring Antibes Provencal old town, experiencing the lively nightlife of St Tropez, walking around picture-perfect Villefranche or trying your luck at the Monte-Carlo casino, each French Riviera town has its own distinct character. If you enjoy a good beach club hangout, you will be totally amazed by the south of France beach clubs with their delicious Mediterranean cuisine and chic vibe – they are also less crowded than their Italian counterparts. Looking for more peaceful surroundings? Your Captain will take you to the island of Porquerolles where you can enjoy a laid-back island lifestyle and some amazing snorkelling in a natural reserve. 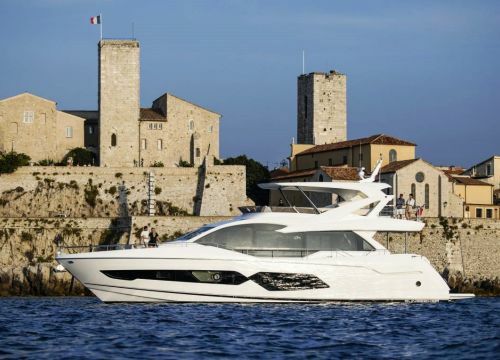 A French Riviera yacht rental is often the favourite option of first-time charterers as the cruising destination is very diverse and will suit the entire charter party. Whether you enjoy a great spot to be seen with a posh atmosphere or smaller towns with a much more laid-back feel, your charter planners will make the best recommendations. 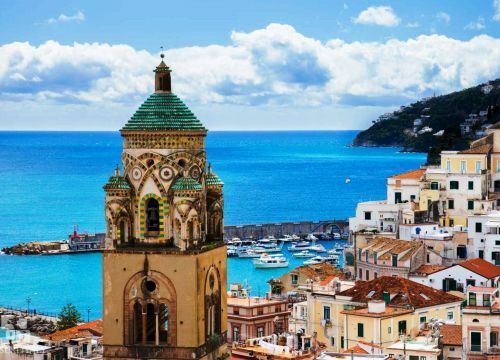 If for some people, the French Riviera doesn’t win the beauty prize as seen from the sea – with its colourful villages and domed churches the Amalfi coast is hard to beat - we promise you will never get bored during your south of France yacht rental. The Amalfi Coast is quite different from the French Riviera. This awe-inspiring coastline is of absolute beauty, naturally diverse and emotionally powerful. Dramatically set on cliffs, the towns of the Amalfi Coast are pretty small and similar to one another – charming and peaceful. 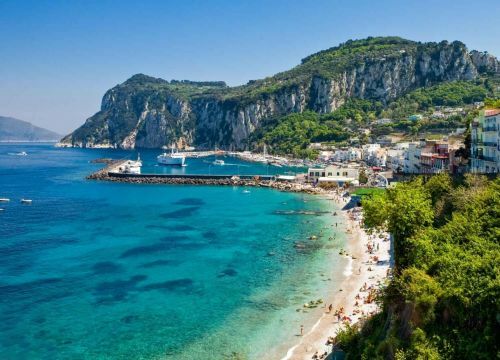 If you are looking for a quaint atmosphere, spectacular beauty, delicious cuisine – you can’t really go wrong in Italy -, picturesque villages and blooming gardens you would definitely like to charter a yacht on the Amalfi Coast. Be warned though, the image of the perfect little romantic village is rather far from reality, especially in summer when hordes of tourists take over the Italian coast. In terms of things to do and contrasts, for some people, the Amalfi Coast will seem to be a bit more limited than the French Riviera. Don’t expect to find the south of France vibrant beach parties and glamourous nightlife on the Amalfi Coast. That said the island of Capri on its own makes a strong contender. Cruising along this stretch of coastline is a real feast for the eyes. Your charter planners will recommend the best activities on shore and the water-based activities of your yachts will no doubt keep you busy! On this note, the water on the Amalfi Coast is warmer than the south of France and can go up to 27°C in August. Another particularity of the Amalfi area is the number of sea caves that you can explore when swimming. Whether you go for a French Riviera yacht charter or embark on an Amalfi Coast yacht rental, your charter planners will match the best charter yacht with your requirements. From the selection of the yacht to the cruising itinerary and planning of activities, Talamare will handle every aspect of the organisation of your dream yacht vacation.